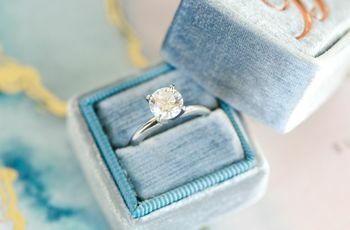 Now that an engagement ring is squarely on your finger, it's even more important to connect with a local jeweler. Here's why. If you just said “yes” to a proposal, chances are there’s a new ring in your life. Even if you’re the one who did the proposing, you’ve got a hand in the ring game, too—and you both need to become comfortable with the ins and outs of owning fine jewelry. The local jeweler who sold you the ring is the perfect place to start; becoming first-name with him or her as a couple is a great idea for those just embarking on life as an engaged couple, to ensure a bright future for your existing investment and those to come. Read on for a closer look on why you should get to know your local jeweler once you get engaged. They can make custom changes to your ring. 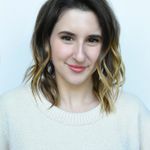 Every ring is unique, and only your local jeweler knows the story behind your ring—especially if they custom-made it, but even if you purchased it at a chain. So, after the question is popped and the ring is given, if and when changes are needed (like sizing or engraving), your original jeweler is the best person to see about those, because they’ll know exactly what can and cannot be done to your ring based on its specific construction. And, as time goes on and your ring ages, and you need it to evolve (say, you want to add a stone or have a stone reset) your jeweler will know all of the history before that, too, and will be able to make informed decisions based on that—ensuring the highest-quality possible repairs and updates are made to your ring. This is especially important for heirloom or vintage rings, which require delicate handling. They’ll help you pick the best wedding bands. 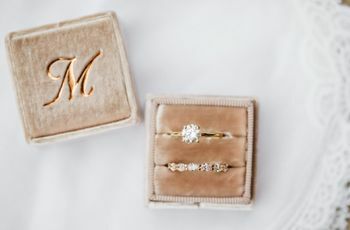 You don’t have to get your wedding bands from the same local jeweler your engagement ring is from, but it makes sense to. You’ll want them to complement one another in look, quality and value, have similar warranties and return policies (just in case! ), and get the same level of service across the board. 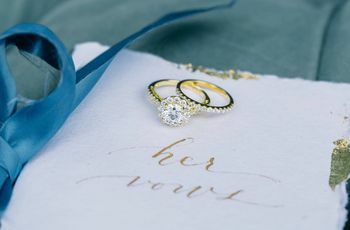 And, if you’ve got an engagement ring in a complex shape (say, with a large halo or woven band), you’ll need an expert eye to help you choose a band that nests with it perfectly—the person who helped sell your partner that engagement ring is just the guy or gal! They’ll throw in complimentary services. Engagement and wedding rings are almost never taken off, which mean they get dull, scratched and dirty quite quickly. Getting them spruced up can cost a pretty penny, but when you keep going back to the local jeweler who sold them to you originally, chances are, they’ll throw in these services on the house. If you get regular tune ups, which, as with owning a car, you should, as that’s the best way to ensure no stones are coming loose, scoring them free of charge can save you hundreds over the years. Of course, you shouldn’t expect a free tune-up, every time, but it’s a great perk you can look forward to, especially if you continue to make purchases from your jeweler over time. After all, they benefit from you keeping your jewels looking their very best, as it’s the best kind of advertising for their craft! Selling fine jewelry is often a commission-based job, so some jewelers may come off as politely aggressive. If you develop a relationship with a local jeweler you like, you’ll have more confidence in him or her down the line, when the time comes for appraisals, repairs and purchasing new pieces. You’ll be able to trust they’re giving you the best value and the best product, and you won’t have to hassle with being upsold or made to feel guilty if you’re not buying more than you came in for. 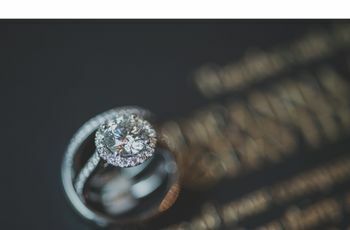 Trusting your jeweler is of the utmost importance, because your fine jewelry—especially your wedding jewelry—is so meaningful. You can’t leave these purchases, or their maintenance, in the hands of just anyone. They’ll become experts in your tastes. Once you and your partner establish a relationship with a local jeweler you really like, you can return to them again and again for purchases. They’ll know your and your partner’s tastes from when you shopped for engagement and wedding rings, so they’ll be the best resources for recommending future surprises and presents. And they’ll have a record of what you’ve bought before, so you can always get the right ring size, complementary metals and colors, or whatever it is you’re looking for. And if you’re gift shopping and unsure what to get for your partner, your jeweler will have a history of what your partner has liked and owned in the past to get you started. Or if you’re simply shopping for a new piece for yourself, your local jeweler will be able to make personal recommendations rather than suggesting random items around the store you’d never even consider. That concierge-level of service doesn’t cost a thing, except a little friendliness, respect and consideration toward your jeweler as you build your relationship with them from early on. Don’t forget, they’re experts for a reason! It’s great to have one as a friend.